Maybe it's the holiday season that turns my mind to thoughts of wine. I know I just wrote about wine storage, but I seem to keep finding more amazing options. 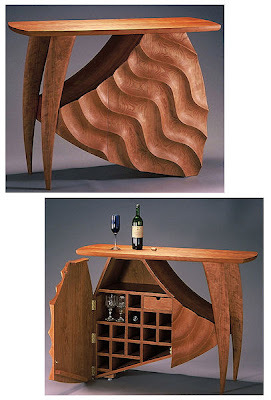 How could I not share this incredible wine cabinet - a custom piece - from Vermont Wood Studios?